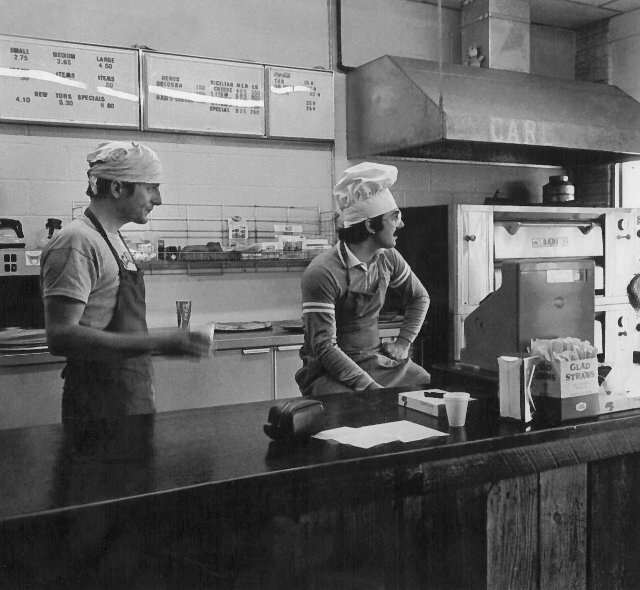 Jon Patten and Bill Scott came to Albuquerque from Michigan in 1978, with dreams of opening a Greek restaurant fit for the gods. After purchasing a small place called New York Pizza, Jon and Bill began to carry out the plans of turning the pizzeria into a Greek eatery (say that five times fast). While waiting for the equipment to make gyros and baklava, the previous owner taught them how to make pizza so they could start serving hungry customers immediately. Bill and Jon had the perfect name for their pizza-for-now-but-really-Greek-restaurant: “Dionysus”, after the Greek god of the grape harvest and wine. But when it came to making the sign, they balked at the price. Inflation had skyrocketed since ancient Greek times. They asked the sign maker what they could do to make their sign less expensive. He laughed and replied, “Well, you could knock off a few letters.” And that’s just what Jon and Bill did. From that moment on, their restaurant became known as Dion’s®.